The effective Fuel Injection Systems is the basic requirement for highest performance of C.I. Engine. In a petrol engine, a carburettor is used to mix air and fuel in the required ratio and this mixture is drawn into the engine cylinder by a suction stroke. But in Diesel Engine, which is working on constant pressure cycle, the fuel has to be supplied when the air inside the cylinder is compressed to a very high pressure. 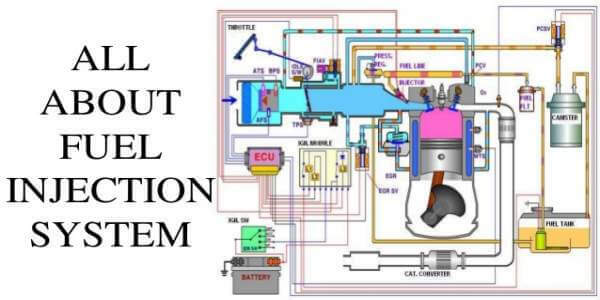 Here I will like to share the information on various fuel injection systems used in a diesel engine. So, the fuel must be injected at a high pressure. Which should be more than that developed in the cylinder at the end of compression stroke. Only air is compressed to a pressure of about 35 kilograms/cm². Hence the temperature after this compression is reached near to 600-degree centigrade. The fuel sprayed into this compressed air also must be uniformly distributed. So that enough Oxygen in the air is available to every particle of fuel for complete combustion. The distribution of the fuel is also assisted by the turbulence of air. Which can be brought about by properly designed inlet ports. Which is located at top of the piston and the combustion chamber. Due to which there is considerable relative motion between the fuel and the air, which leads to a proper mixing. The time for which the fuel is injected into the engine cylinder must be very small. Since high injection velocities give a good atomization of the fuel. And the fuel has to be burnt at the top dead centre position of the piston. 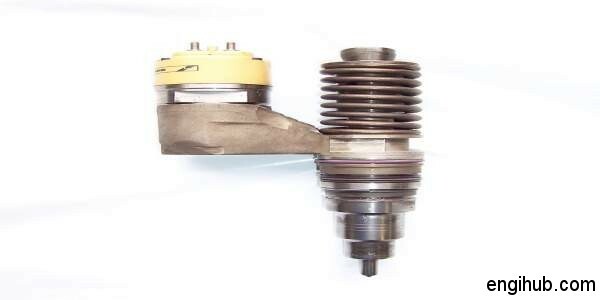 In compression ignition engine (diesel engine), a pressure as high as 100 to 300 kilogram/cm² is required to be developed for fuel injection systems. The main advantage of the diesel engine is, the maintenance cost of fuel injection systems are less than that those of the carburettor and spark plug of the petrol engine. 01) At the beginning as well as the end of injection of fuel should take place sharply. 02) The injection of fuel must occur at the correct moment, correct rate and in the correct quantity also. This is required by the various load conditions of engines. 03) The fuel must be injected in a fine atomized condition and must be distributed uniformly in the combustion chamber of an engine. In this, air is compressed to a very high pressure by means of the compressor. Then the blast of air is injected carrying fuel along with it into the cylinder. This method is obsolete now. In this system, each cylinder has its own individual high-pressure pump and metering unit. The cost of this system is very high. In this system, the fuel is pumped by multi-cylinder pump into a common rail. The pressure in this system is controlled by a relief valve. A metered quantity of fuel is supplied to each cylinder from the rail. It requires higher accuracy during manufacturing.